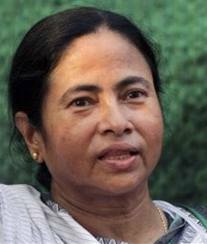 Delivering a body blow to the UPA-II government led by Prime Minister Manmohan Singh, Trinamul chief Mamata Banerjee announced on Tuesday evening she was withdrawing support. She decided to quit the UPA-II in protest against the recent hike in diesel prices, cap on subsidised LPG cylinders, FDI in multi-brand retail and corruption issues. On Friday all six Trinamul ministers at the Centre, including railway minister Mukul Roy, will submit their resignations to the Prime Minister. Trinamul Congress, which has 19 MPs in the Lok Sabha, is the first ally to desert the UPA ship.